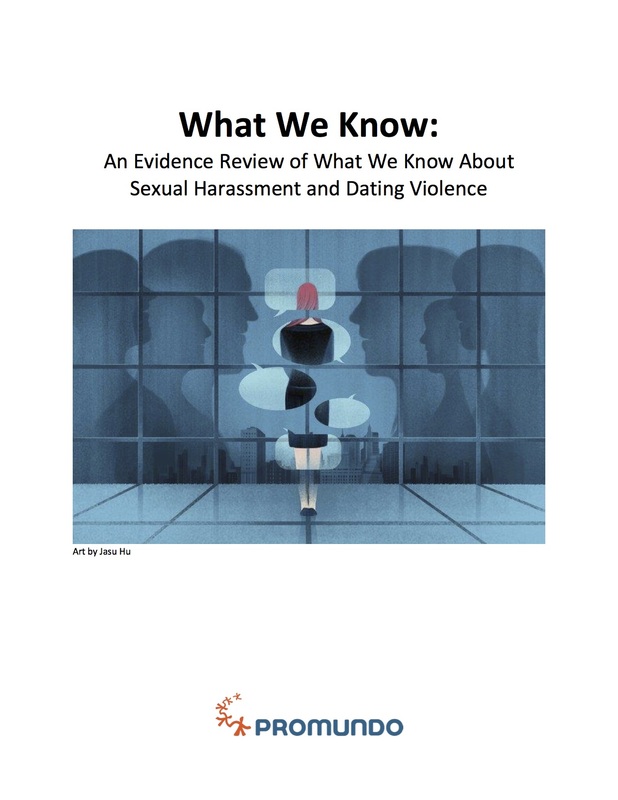 “Adapting a Global Gender-Transformative Violence Prevention Program for the U.S. Community-Based Setting for Work with Young Men,” is a Promundo-authored article published in the Global Social Welfare journal. The article describes the history of a gender-transformative program, Program H, first developed in Brazil and Mexico; the rationale for and evaluation of this original program; and the processes of adaptation for a United States urban community-based setting, highlight the risks as well as opportunities for work with young men and boys in the future. Over the past several years, research from international settings have shown that gender-transformative approaches can be effective in achieving positive health outcomes, and such lessons learned, particularly from developing country settings, are now being applied in urban U.S. contexts. In this adaptation of Program H, called Manhood 2.0, attention was paid to the unique realities of young men including the influence of social media, the intersectional challenges of racism, homophobia, and income inequality, and an emphasis on strength-based approaches to implementation – building on long-standing relationships with community partners who have a vested interest in the health and well-being of youth. 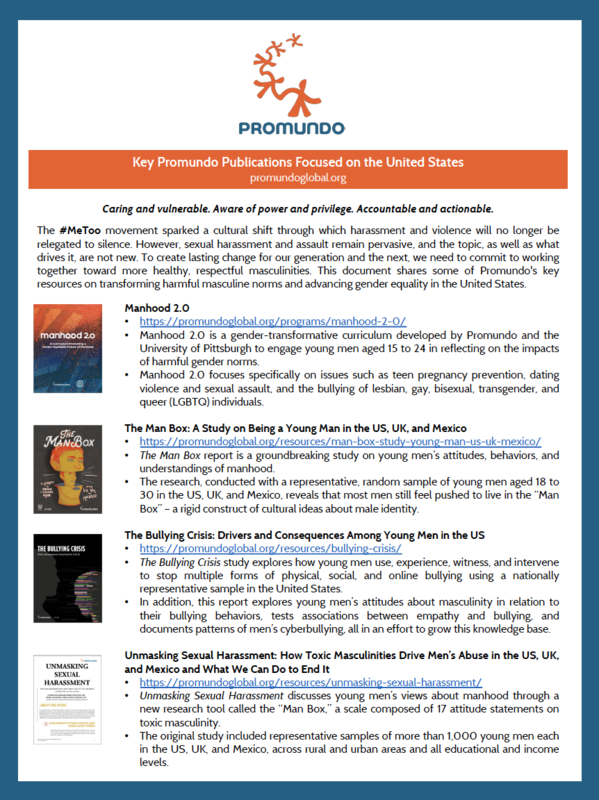 While more work has yet to be done, the implementation of Manhood 2.0 in Pittsburgh has the potential to reduce sexual violence and adolescent relationship violence behaviors based on the international evidence and provides a valuable example for looking outside of existing U.S. programming to international settings.